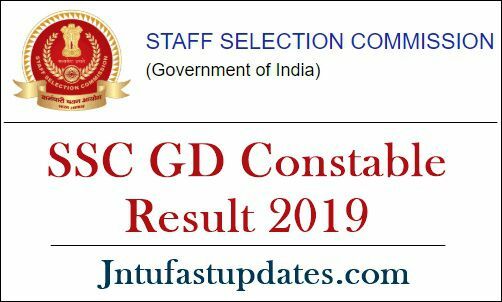 SSC GD Constable Result 2019 – 20: Staff Selection Commission (SSC) organized the written test for Constable General Duty posts from 11th February to 11th March 2019. Lakhs of hopefuls seeking to get central government jobs have competed for the constable GD written test. Aspirants competed for the test can get the answer keys of the respective examinations from the SSC official portal, ssc.nic.in. To evaluate the score aspirants can download SSC GD answer sheet and estimate the sore by tallying with the corresponding set. Aspirants waiting for SSC GD Constable result can download shortly. The SSC is slated to unveil the SSC GD Constable cutoff marks on 31st May 2019. Hence the competitors can wait for the result, cutoff marks, and merit list. Keep checking the SSC portal for more updates. All the aspirants who have come across the written test round can expect the result on 31st May. The result, scorecard will be accessible for the competitors. Candidates can check whether they qualified for the next round of the selection process. Along with the result, the SSC will also release the cutoff marks of the conducted exam and merit list of selected aspirants. Candidates scoring the cutoff marks in the written test round will be shortlisted for the subsequent round. The organization will release the cutoff marks along with the result. 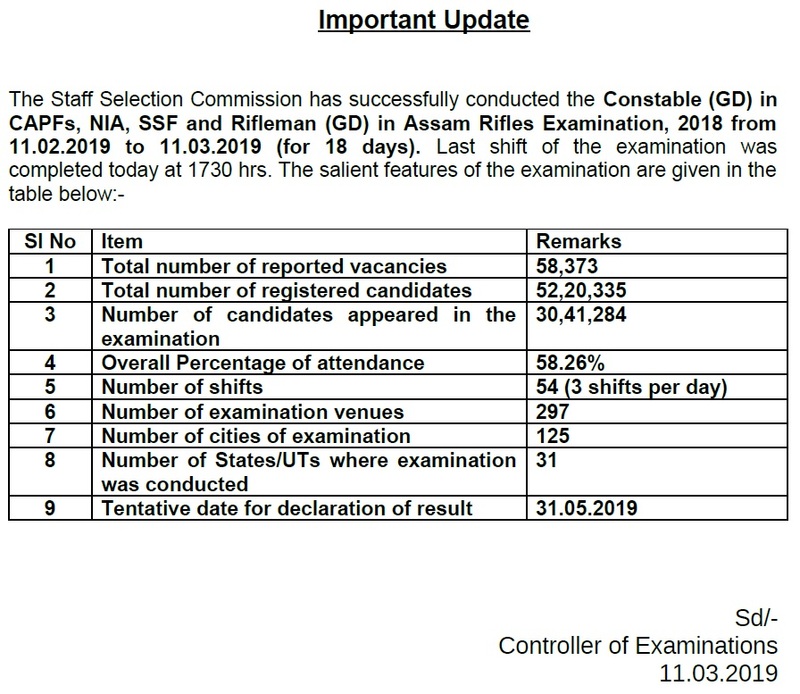 As per the estimation, the SSC GD Constable Cutoff marks are expected as follows. Visit SSC website, ssc.nic.in or click on the direct link provided below. On the homepage, search for Constable General Duty result link. Enter the required details such as register number, etc. Check the result, and merit list from the same SSC portal.